This machine is for determining the resistance to wear of small size coarse aggregates and crushed rock. 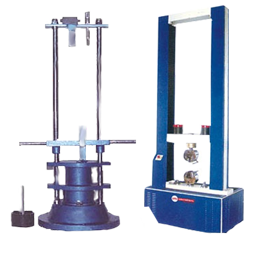 The machine consists of a hollow cylinder, mounted on a sturdy frame on ball bearings. A detachable shelf which extends throughout the inside length of the drum catches the abrasive charge and does not allow it to fall on the cover. 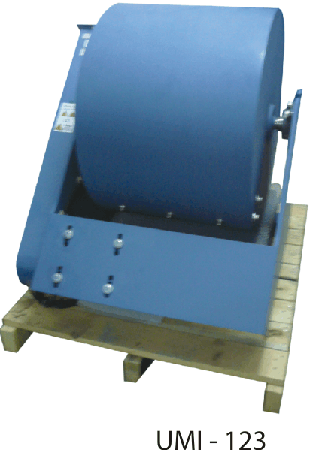 The drum is rotated at a speed of 30-33 rpm by an electric motor through a heavy duty reduction gear. Motor is suitable for operation on 415 V, Phase, 50 Hz, AC Supply.